There is good news on the opioid fronts. A recent study of 69,152 visits to patients under the age of 18 in the emergency room showed that the prescription rates for opioids for pain management fell from 2011 to 2015 to 6.3% of patients by 8.23%. However, the location of the ER department, race, age and method of payment were associated with differences in prescribing opioids, the study published this month noted. Pediatric prescription rates for pediatric patients were higher in the Western United States White patients and patients 13 to 17 years of age, for example, received prescriptions more frequently, while patients taking Medicaid received fewer opioid prescriptions. The researchers, who published their findings in the JAMA Open Network, said that "inconsistencies" in opioid prescription require further research. 3 to 17 years of age were more likely to have prescriptions, while patients taking Medicaid were less likely to get opioid prescriptions. 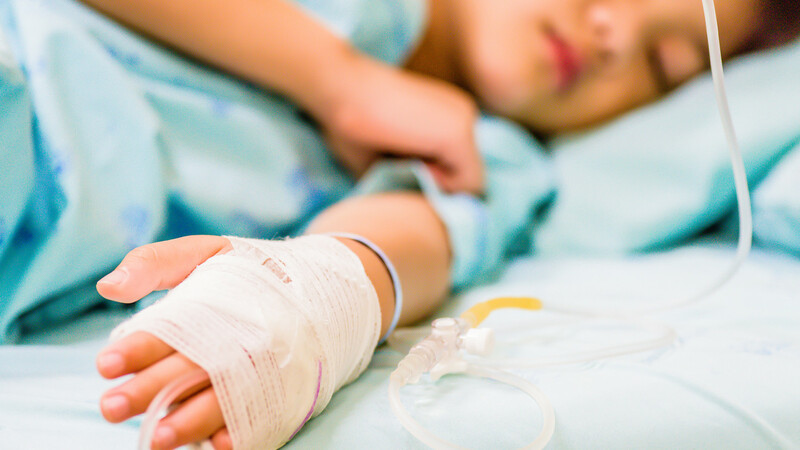 "The use of opioids to treat pain in pediatric patients was considered necessary," the study noted. "However, this practice has raised concerns about opioid abuse and the effects of opioid use. In order to effectively adapt the policy on opioids in the pediatric population, the prescription pattern needs to be better understood. "Some estimates assume US $ 500 billion in government costs, according to a recent analysis of data from a large commercial insurance company published in JAMA Pediatrics, a monthly published by the American Medical Association Experts reviewed medical journal, children and adolescents have been halved since 2012. At the beginning of 2017, an average of two out of every 1,000 children and adolescents in a given month received an outpatient opioid prescription, the study said. In 2004, three out of 1,000 children and adolescents were prescribed opioids. That rose to four per 1,000 between 2009 and 2012. Also, the long-term use of opioids (three or more consecutive months) decreased. However, this is a more dramatic decline than the general downtrend. The prescription rate for opioids has fallen to its lowest level in more than 10 years with 58.7 prescriptions per 100 people (equivalent to 191 million prescriptions). The total number of prescribed prescriptions reached a peak of over 255 million in 2012 and a prescription rate of 81.3 recipes per 100 people. At the beginning of 2017, two out of 1,000 children and adolescents received an outpatient opioid prescription in a given month, from four to 1,000 between 2009 and 2012. The prescription rates, however, vary dramatically. "In 2017, prescription rates are still very high in certain regions of the country," said the Centers for Disease Control and Prevention. While the overall prescription rate for opioids last year reached the lowest rate in a decade, "some circles had seven times higher rates than that." In the US, 2.1 million people are fighting opioid addiction. According to the US Department of Health and Human Services, the number of overdose deaths from opioids in 2016 has doubled to 42,000. The number of overdose deaths in the US in 2015 was more than 2.5 times higher than in 1999, partly due to the decline in the price of heroin and access to prescription drugs. Get daily a summary of the most important personal finance data in your inbox. Subscribe to the free MarketWatch Personal Finance Daily newsletter. Sign up here.